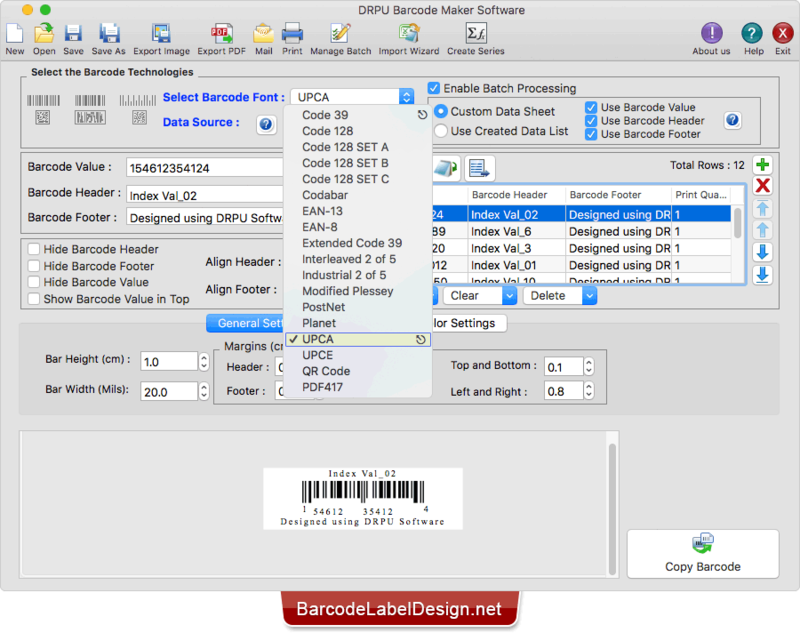 Barcode Label Maker Software for Mac OS machines creates variety of barcodes labels in popularly used Linear and 2D barcode fonts. Specifically designed barcode software for Apple Mac OS installed machines creates barcode labels, stickers, tags and coupons. Software provides flexible print settings to print designed barcode labels according to your requirement. Select barcode font, enter barcode value, barcode header, and barcode footer. Adjust various settings of barcode label including General Settings, Font Settings and Color Settings. Using Color Settings of software, you can change or select the color of barcode header, barcode footer, barcode value, barcode and barcode background. Using 'Set Transparent' option, you can set background of barcode label as transparent. 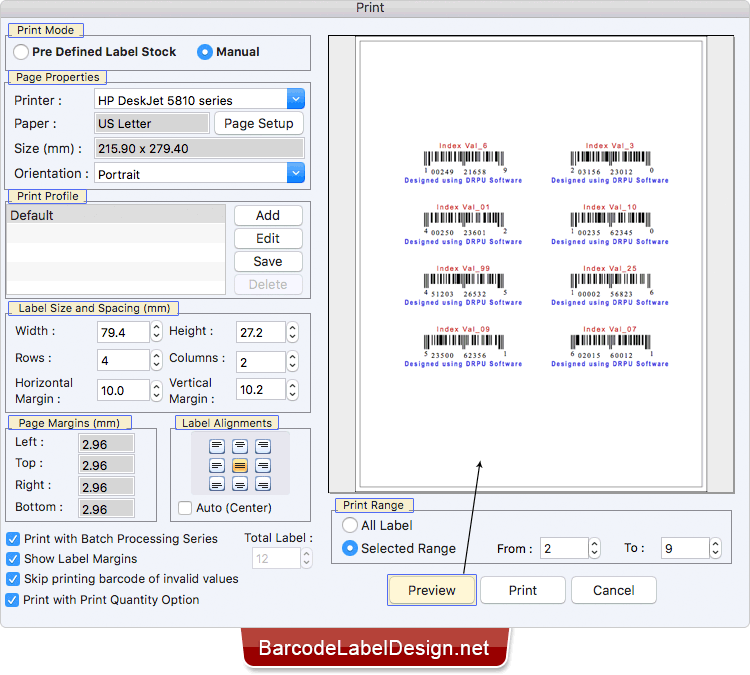 To print barcode labels, adjust various print settings and click on 'Print' button. To see the print preview of barcode labels, click on Preview option. 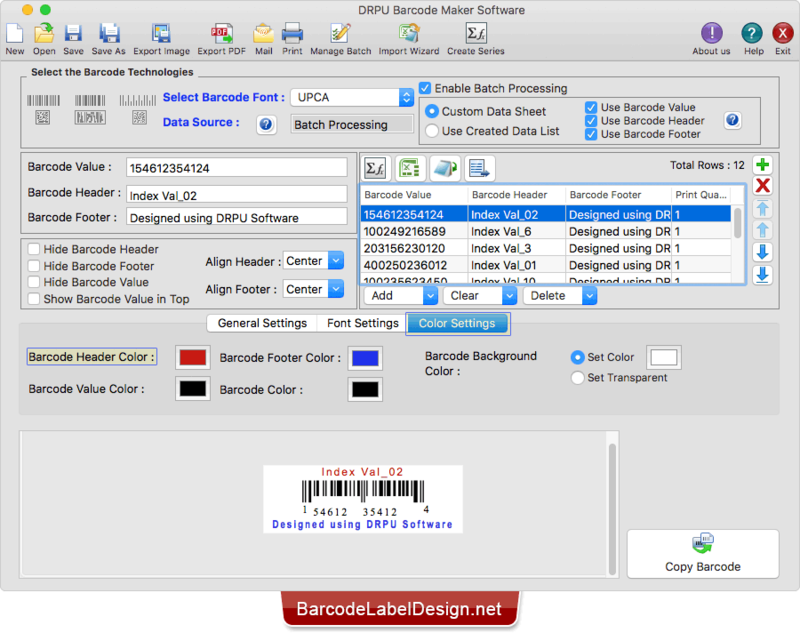 Barcode maker software generates barcode labels in commonly used Linear and 2D barcode fonts. Barcode generator software supports working on all major Macintosh OS installed machines. Advanced functionality supports to create colorful barcode images. Generate Barcode List using Batch Processing Series options. Save created barcode images in various file formats for future reference. Print generated barcode images with easiest label printing software.